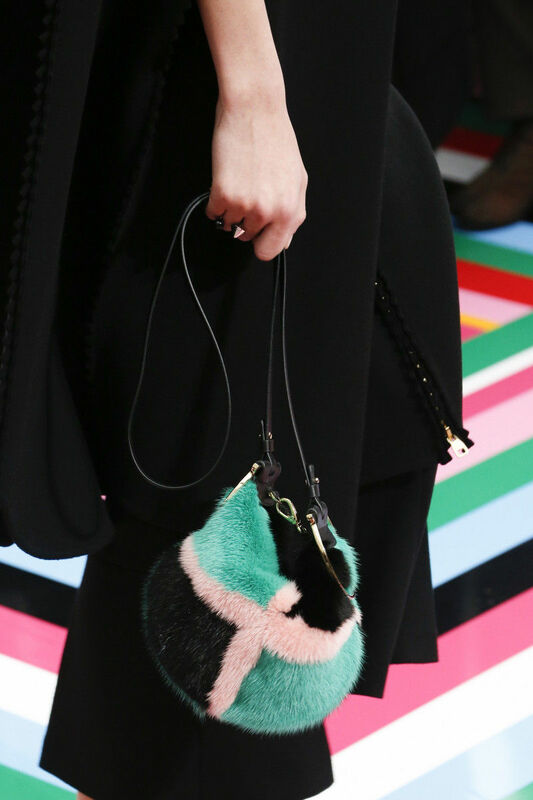 Handbags were everywhere on the Fall runway this season with a wide variety in texture and shape. The biggest trend, however, was functionality and purpose. Here are some of our favorite styles from this season’s top trends! 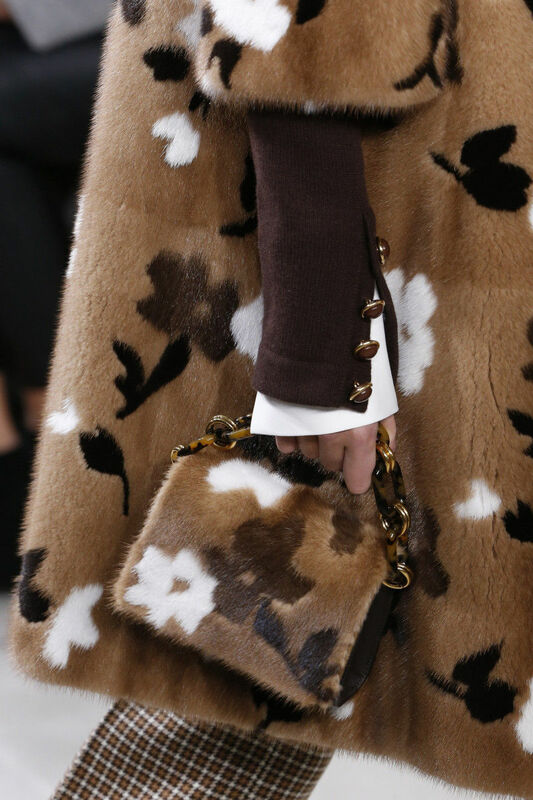 Fur-covered handbags were a huge hit with the runway, and we couldn’t agree more! There’s something so vintage and nostalgic about a nice fur covered purse, and they always give off an elegant and classy appearance. 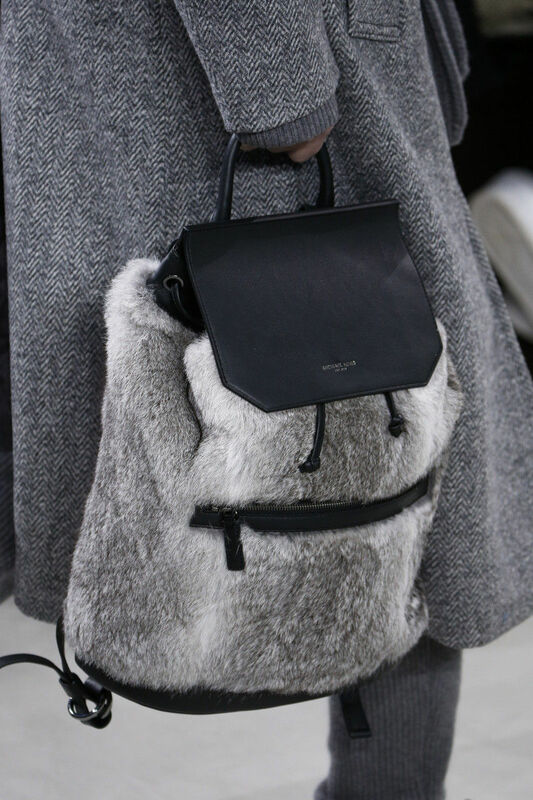 Whether sporting something like a bucket purse or a boxy handbag, fur designs can be a great statement piece. Soft to the touch and usually easy on the eyes, it’s hard not to appreciate their unique image (even if you go with faux fur!). If you’re looking to make a fur-covered bag of your own, consider some of these fabrics for your design! 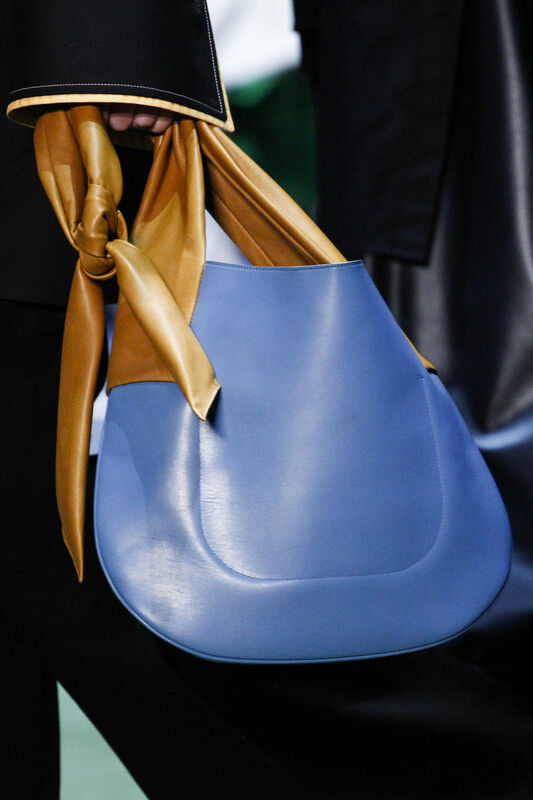 Drawstring bags are a great staple of handbag fashion, mostly because of how easy they are to work with! You can make them as big as you’d like it to be, and they close easily, so you never have to worry about your belongings falling out. They look great no matter what size they are. And since the design is simple and interchangeable, you have a lot of choices to consider if you’re making one. If you would like to make one, we actually have a DIY article about making one with leather here! Here are some of the materials we suggest if you’re looking to make one of your own! You don’t have to go with just leather, though! And for the drawstrings, you can use drawcords or metal chain! Fan of the Western look? Tassels and long fringes often bring a sense of down-to-earthness, and adding fringe to a piece is also a great way to play with the illusion of body and flow. Usually made of some kind of leather or leather look-alike, tassels and fringe can draw the eye with their fluid movements, which is what makes them a popular item. Even small additions of fringe can pay off! Check out our DIY using fringe to spruce up a pair of heels by Brandhyze here! If you’re interested in a fringed purse of your own, consider these fabrics for your design! 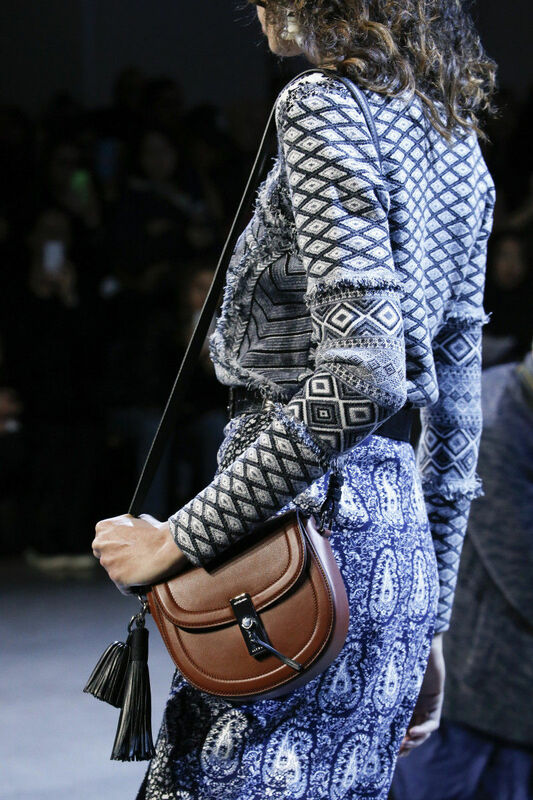 Revamped fanny packs were huge in the 90s, and they’re back again! Designed for ease of comfort and functionality, these hands-free designs are now trendy and versatile! 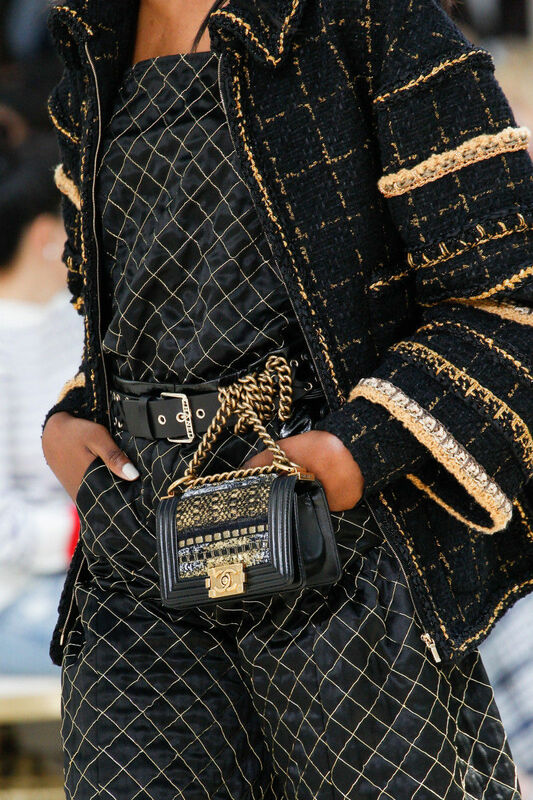 While the photos provided here show off a very chic styles, revamped fanny packs are flexible in what designs look good for and with them. If you need some inspiration, take a look as some of these ideas! Along with these fabrics, you can do a little embellishment with a chain strap, sequin or beaded trims, and clasps! 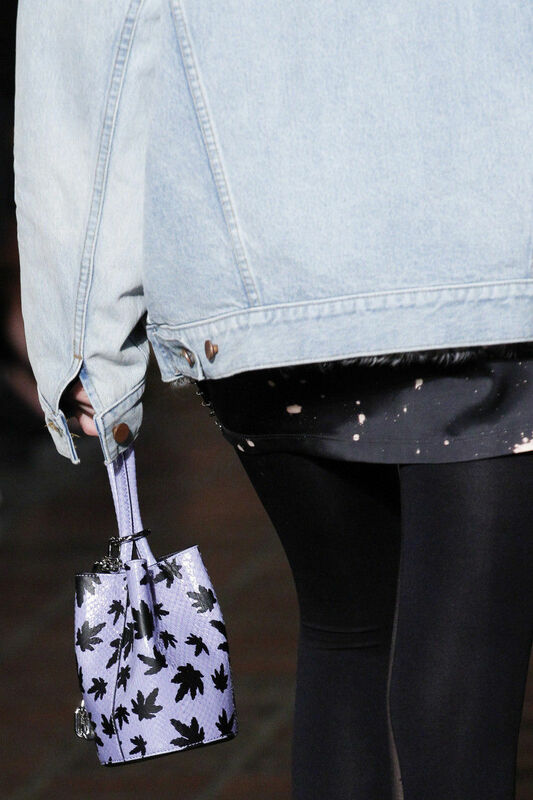 Halfmoon bags are super cute and in-season now! The curved shape of their silhouette is simply graceful and like no other style. Any color fits well with them, and so long as you have a sturdy fabric to help keep its shape, you can go with almost anything! If you’d like to see some fabric ideas for halfmoon bags, consider some of these! 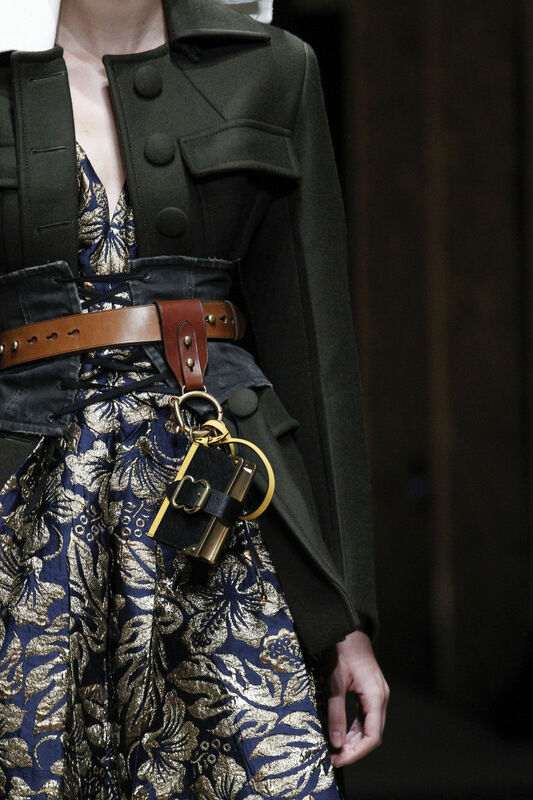 And some notions–like grommets, trims for straps, and a zipper for closure–to help finish the look! 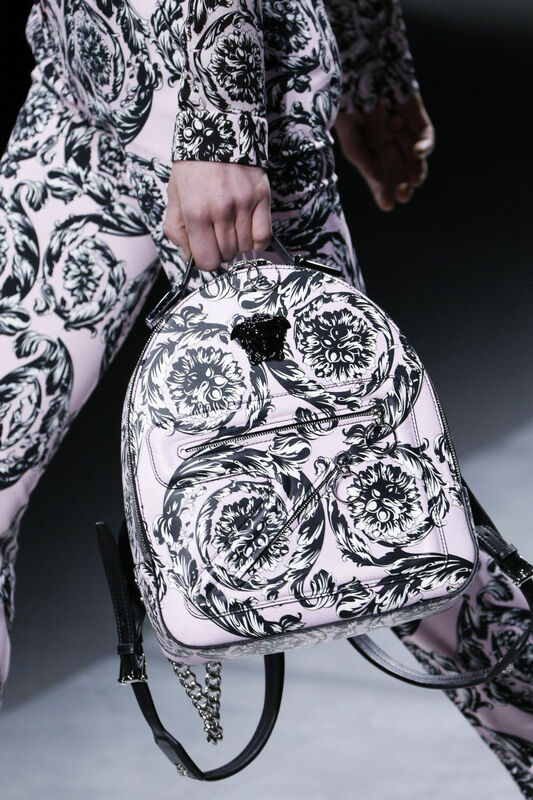 And lastly, small backpacks! This fashion has flitted around through the years, but they got a particular amount of attention by designers for this season. As with the halfmoon bags, their shape is one of the features that stands out most, and like the revamped fanny packs, their functional purpose makes them a great choice for on the go! And finish it off with a zipper! 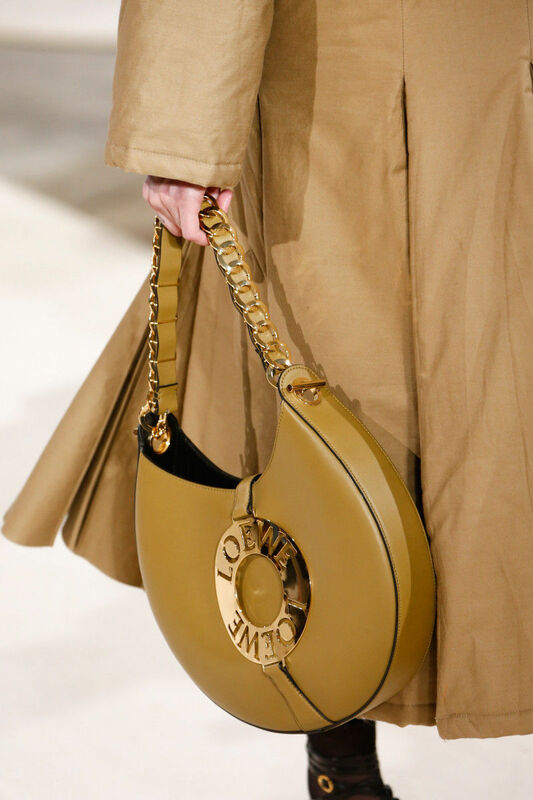 Which of these handbag designs is your favorite? Have you seen others aside from these that you loved, too? Can you think of any fabrics that we didn’t listen that you would like to use for one of these styles? Let us know! Hard to pick a favorite…. 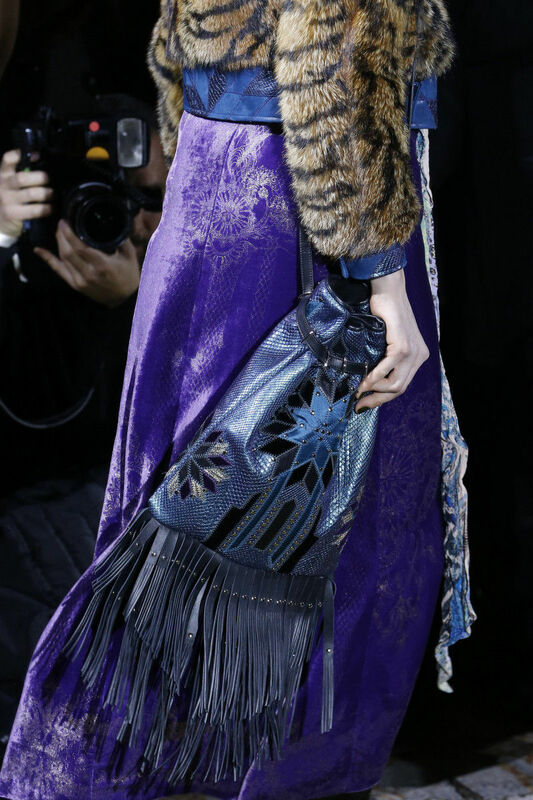 but Roberto Cavalli’s is great! I’m a quilter and am considering this would be a great bag for me! Love the Celine one with the 2 colors & Michael Kors fur as well. Happy Birthday America Fabric Giveaway!